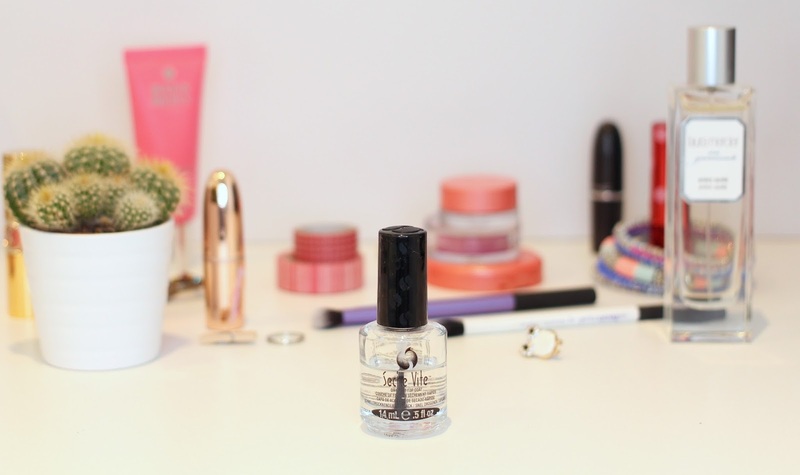 Nail lovers, this post is for you! But also for everyone too haha.. I love having painted nails, right now I have acrylics but usually I opt for an at home manicure – I did a post about it that you can read here. I know Seche Vite is super popular but I still thought it would be useful to share my opinion. Before Seche Vite I never really used to apply a top coat to my nails, mainly because I never really thought it made any difference and I’ve certainly tried my fair share of top coats too. Seche Vite is totally different from all the other top coats, its quite thick in consistency and really forms a bond between the nail polish and the top layer. It dries super fast and creates a much stronger nail with a super glossy finish. When I use Seche Vite my nails last up to 7 days regardless of what nail polish is under it. Before this top coat I’d change my nail colour every 2-3 days but this really does prevent chipping and flaking. I love this stuff and I honestly can’t be without it! Whats your favourite top coat? Seche Vite is available from Boots. Next Post Some Of My Favourite Instagram Accounts!